Discover the many wildflowers around us on Cape Cod. How many do you know? Learn to use Newcomb’s Wildflower Guide to identify the plants you don’t know. 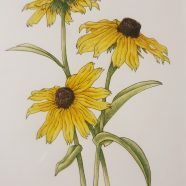 Sketch in the field and in the studio to further your understanding of local plants. Choose your favorites to illustrate using a variety of media. Ellen Duarte has been creating a Christmas card almost every year since taking up botanical illustration more than a decade ago, when she began her studies at Wellesley College Botanic Garden. 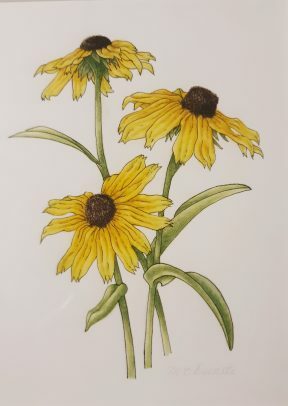 She earned her Certificate of Botanical Illustration in 2015. Ellen grew up in Maine and raised her family on Cape Cod. She currently resides in Centerville and is still frequently visiting Maine. She and her husband enjoy three grown children and many grandchildren.